Tutorials - PDF Complete Office Edition 4.2 | PDF Complete Inc.
What is my Product Version? Support tickets let you communicate directly with a PDF Complete support team member about any technical support issues you may be experiencing. In order to accurately assess your situation, we recommend sending us a screenshot of the issue along with your support ticket. 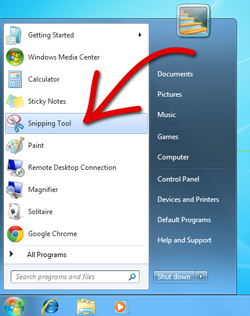 Open the windows start menu by clicking the windows icon located on the bottom left of your screen in your windows toolbar. Select All Programs and open the Accessories folder. 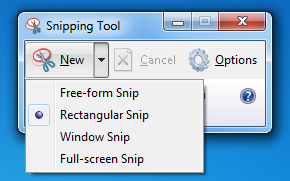 Use the Snipping Tool provided to capture a screenshot of your issue. Click the Save icon and Save your Screenshot to use when submitting your ticket. Go to submit a ticket, specify the issue you are experiencing, upload the screenshot to the appropriate field on the ticket form, then click submit. A PDF Complete support team member will assist you as soon as possible.